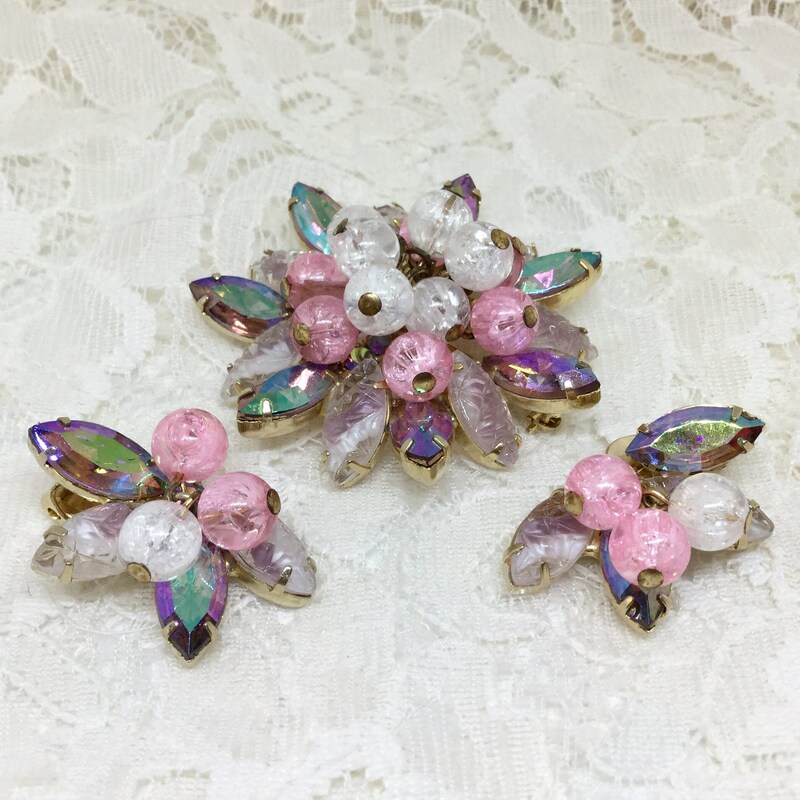 This is an awesome Juliana D& E vintage goldtone AB rhinestone, molded leaf rhinestones, and crackle glass beads brooch set. 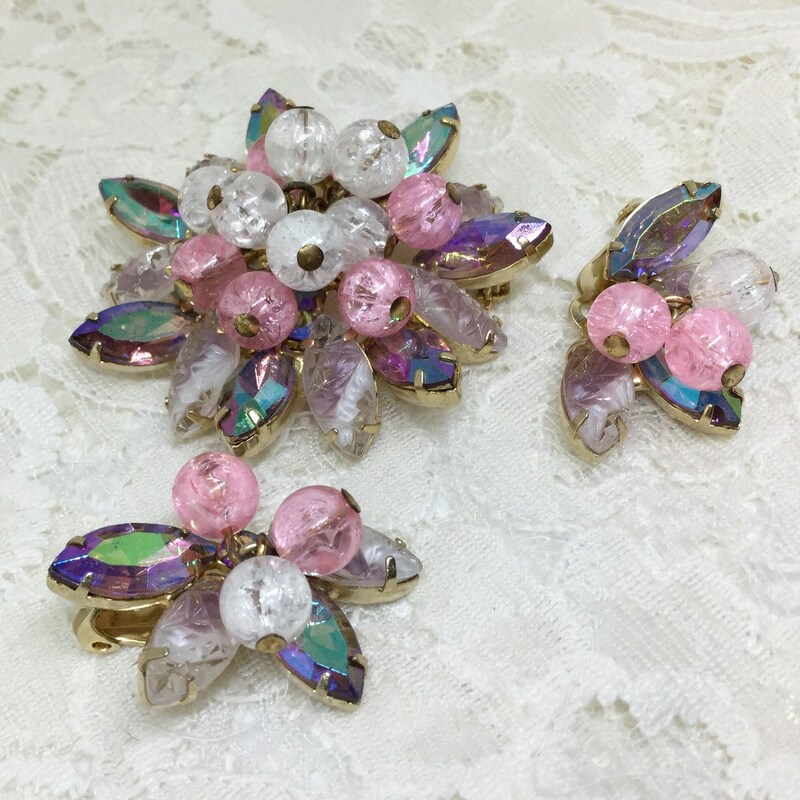 The brooch has an outer layer of pink AB and clear molded leaves navettes alternating high and low . 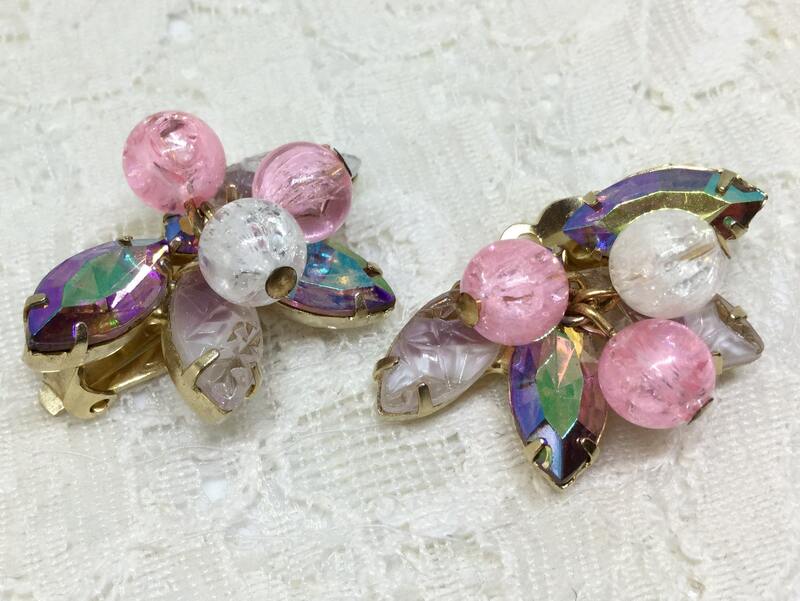 The center is pink and clear round glsss crackle bead dangles. 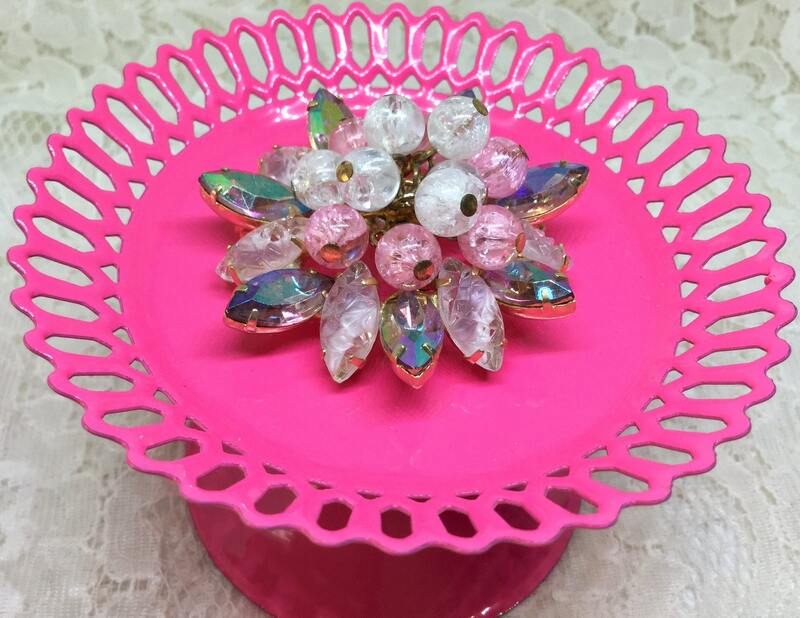 It measures 2” in diameter and the pinback is has slight bow and works smoothly and securely. 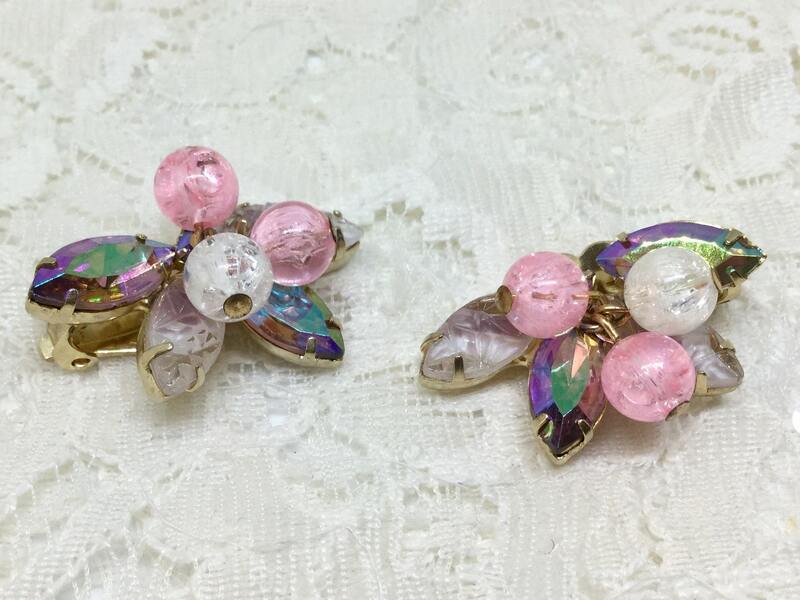 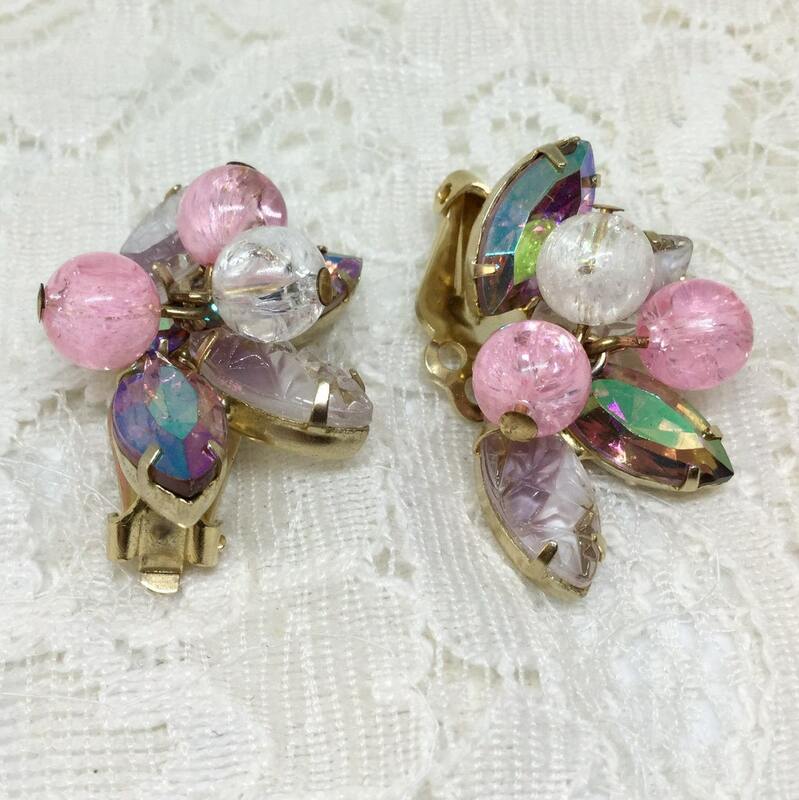 The clip earrings match the brooch with pink AB navettes, molded glass navettes, and crackle glass bead dangles. 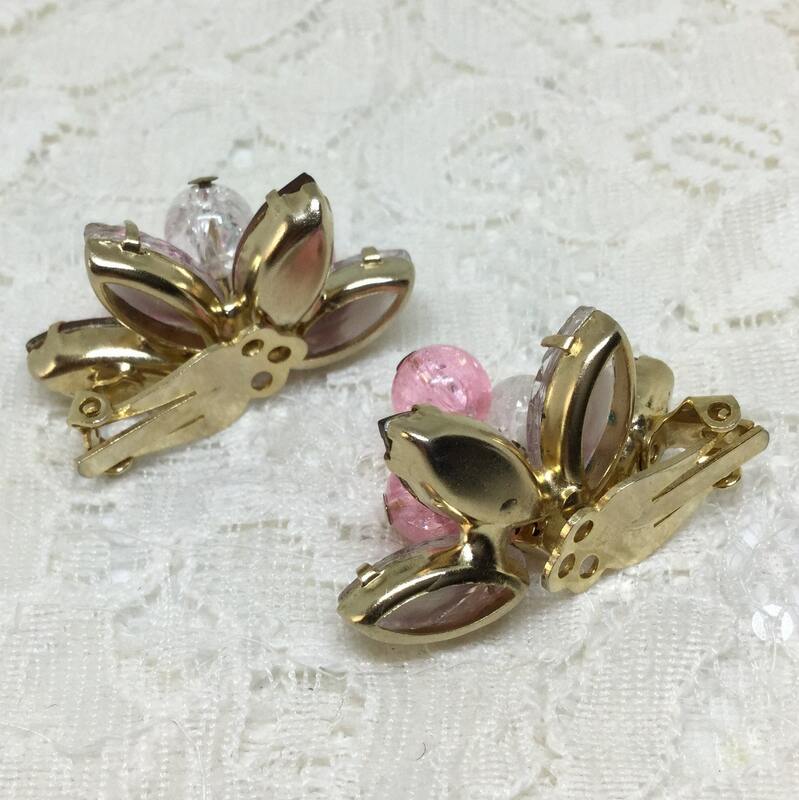 The earrings are in very good shape and the clips are tight. 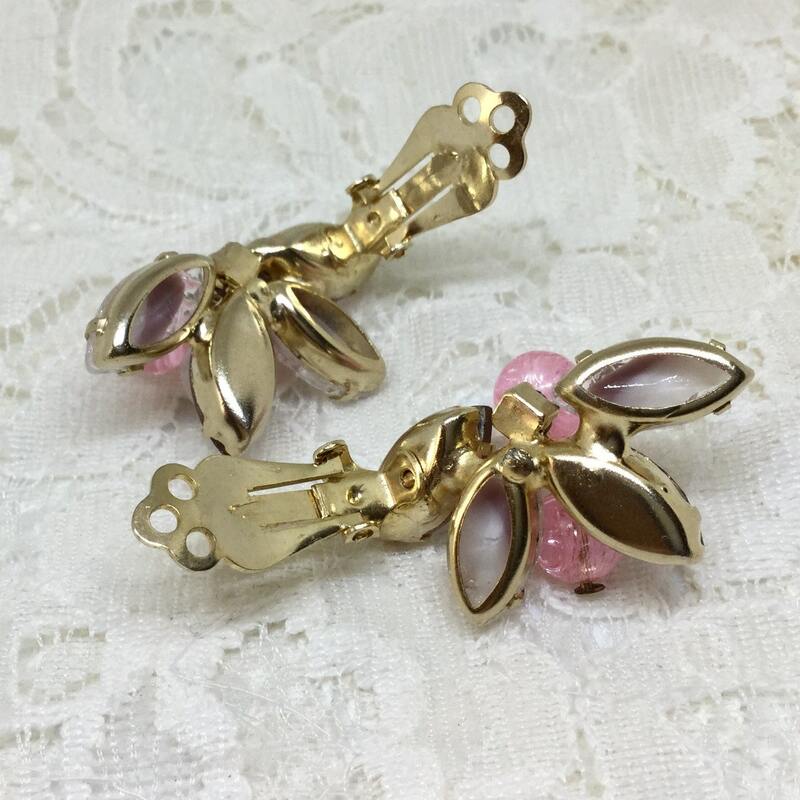 It was verified in the Juliana Jewelry Blog sponsored by Cranberry Manor. 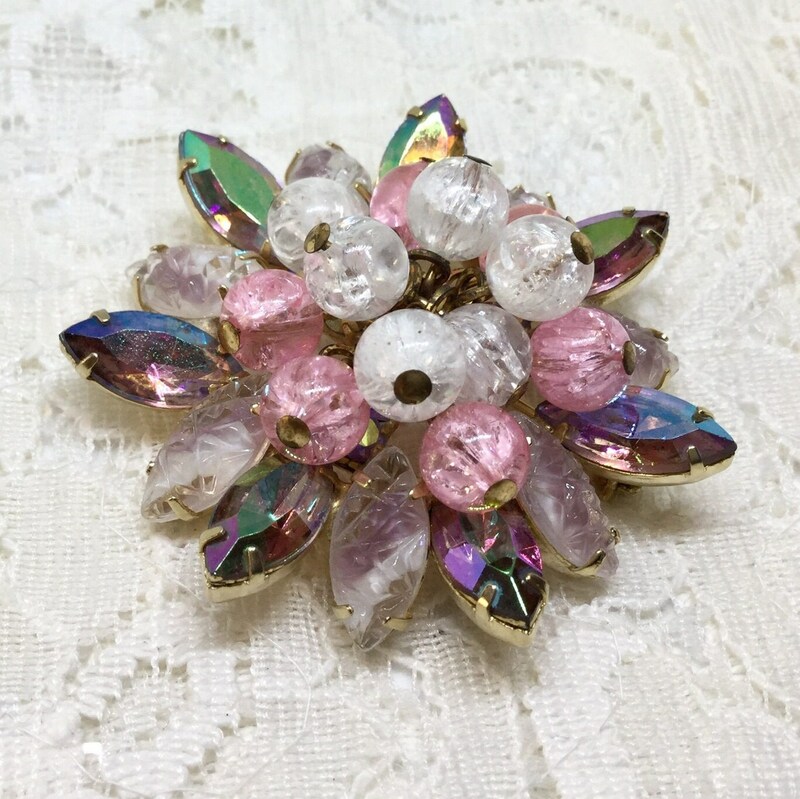 I have also seen the same brooch with black rhinestones and crackle beads replacing the pink ones in this brooch. 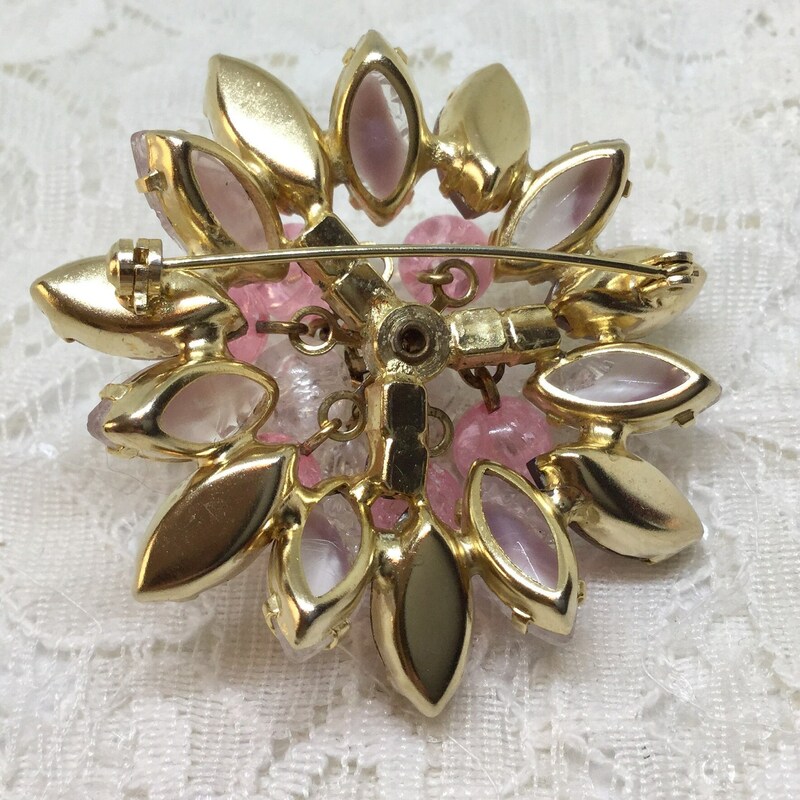 This is an eye catching brooch to wear and display!